PHOTO: Michelangelo does five–, six– and seven–day sailings through Venice and its lagoons. CroisiEurope wants to see a lot more Americans on its river ships and barges. For nearly four decades, the family-owned, Strasbourg-based cruise line has been a leading European river cruise company, offering more affordable options for mostly European travelers who want to ply the rivers of France, Italy, Spain Germany and Belgium. This year, CroisiEurope is expanding to reach passengers from the U.S. and Canada. It recently opened a North American call center to handle travel agent inquiries and hired a director of sales for the region. For a North American passenger, a cruise on CroisiEurope’s Michelangelo, a 158-passenger ship that plies through Venice and its lagoons, is an experience that feels both foreign and familiar, which may be the best of both worlds. The ship, with its French cuisine and crew, has a decidedly French ambiance on board. And with passengers from mostly European cities, the ship certainly has an international vibe. But CroisiEurope goes to lengths to make sure its American passengers feel at home while onboard. Almost all the crew speaks English (among other languages) and daily announcements as well as shore excursions are conducted in both French and English. For the four Americans on board a recent sailing, there was even a daily U.S. newspaper to keep them updated on current events. There are 78 cabins, which are located on the main and upper decks. The 118-square-foot cabins have picture windows, wide-screen televisions (channels include CNN and BBC), hairdryers, safes and air conditioning. There are also two stacked closets, four drawers and a small makeup table and mirror. Built in 2000, the Michelangelo was renovated in 2011 and has a contemporary, European feel. Sunlight splashes through the airy public spaces. The lounge with a bar area acts as the ship’s epicenter, featuring free Wi-Fi access along with cocktails, coffee and a special drink of the day. Lined with windows, the lounge is filled with melon-green couches and chairs and plenty of tables. During the day, it is a quiet area for postcard writing, reading and conversation. At night, it comes alive with dancing, crew shows and local musicians playing French, Italian and American standards. There is a small lobby with a gift shop that is open for a few hours each day. The shop sells stamps, postcards, masks and T-shirts and other souvenirs. The top deck is a big open space filled with lounge chairs where passengers sip coffee or engage in light gymnastics (very easy aerobics) in the morning. At night, guests sip wine while watching the famous pink Venetian sunsets. The dining room is lined with windows on the sides and mirrors in the front and back, giving it an open and airy feel. There is one lunch and dinner seating for the 158-passengers, but the room is never loud. CroisiEurope is known for its French-inspired cuisine. CroisiEurope head chef Alain Bohn was recently nominated as a member of the Maîtres Cuisiniers de France, an esteemed French association created 50 years ago that includes only 250 chefs worldwide. The ship offers a breakfast buffet from 7 to 9:30 a.m. featuring croissants, fruit, cereal, yogurts, eggs, sausage, coffee and juices. 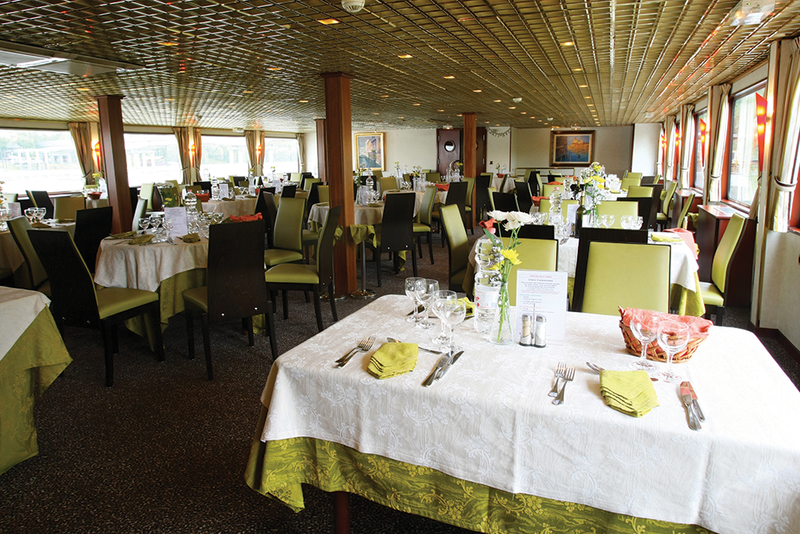 PHOTO: CroisiEurope is known for its French–inspired cuisine in the main dining room. There is one seating for lunch and dinner. The three-course lunches and dinners are French- and Italian-inspired, and include regional favorites such as minestrone soup, duck pâté, breaded veal cutlets, chicken in marinara sauce stuffed with ricotta, gnocchi in a red sauce, tomato, basil and mozzarella and prosciutto, melon and arugula salads. Dessert includes chocolate mousse with lemon sorbet, panna cotta with fresh berries and tiramisu. Each night there is a bottle of red wine, such as Côtes du Rhône Village Domaine de Rabusas, on the table, along with a white wine, Les Tortues Gros Manseng, chilling in a bucket. Since there is a set menu on board, CroisiEurope must be informed before the date of departure about customers with special requests or special diets (gluten-free, vegan, vegetarian). Although the ship can accommodate last-minute requests, it would be easier if they were made in advance. Michelangelo does five-, six- and seven-day sailings through Venice and its lagoons, with additional stops along the Po River during the longer cruises. There are boat trips into the islands of Burano, famous for its lacework, and Murano, known for its glass blowing. 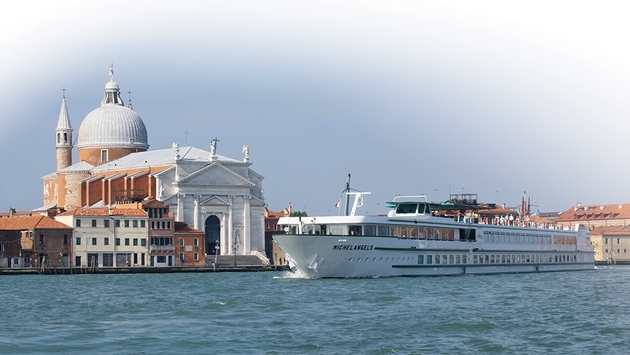 Michelangelo also cruises to Chioggia for a few hours so passengers can wander the old fishing village. Afterward, there is a boat trip to the pilgrimage town of Padua, where a local tour guide leads the group through the Basilica of St. Anthony, one of eight international shrines recognized by the Vatican and considered part of the Vatican. On the longer cruises, there are stops in Bologna, Verona and Ferrara with shore excursions through each region. The ship spends its nights in Venice, and there is a full day as well as a few half-days for passengers to explore the city. There is also an optional tour through the Doge’s Palace. Tours are offered in French and English. Most of the tour guides are natives of the region and are well versed in the area. After dinner, a local musician boards the ship for two nights of the trip and plays French, Italian and American favorites. There is one night where almost the entire crew — including the maids and wait staff — delivers a lip-synching and dancing performance. Some of the guests are called on stage to perform with the crew in their skits. The 32-member crew is a young, enthusiastic group who wear many hats while onboard. It isn’t unusual to see the ship’s housekeeping staff help load the week’s supply of food onto the ship or one of the ship’s entertainers double as an aerobics instructor. “We all pitch in,” says Kevin Sigwarth, who is 26 and from Nancy, France. “I will be behind the desk, helping passengers as well as making announcements and giving excursion talks. Like many staff members, Sigwarth is fluent in English and French, but also can speak Spanish and German. Most of the passengers range in age from mid-50s to late 70s, and are from France, Belgium and England. The typical passenger is well traveled, but has never been to Venice and is looking to fully experience the city. Many of the passengers took this trip as an extension to their vacation. Some had already traveled throughout Italy. Others were heading to France and Croatia after the ship disembarked. What truly separates CroisiEurope from its competitors are its moderately priced fares. Venice is extremely expensive, but traveling aboard the Michelangelo allows a visitor to experience the region — complete with a bedroom floating on some of the best real estate in the city — without the exorbitant hotel and restaurant prices. Some of the best hotels in Venice can’t offer such a location—on the water with views of the city and its famous pink sunsets. Fares start at $630 for the five-day excursion and $1,424 for the seven-day trip. With the exception of tours as well as champagnes and cognacs, everything is included in the fare. There’s also free Wi-Fi onboard. This is the perfect trip for those who want to have a multicultural experience while cruising. 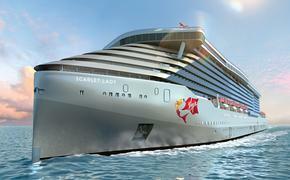 Guests can mingle with the international passengers and staff. Since English is an official language onboard, however, North Americans won’t feel out of their comfort zone. In addition, since CroisiEurope offers shorter itineraries, its river cruises can provide a great add-on for those who want to combine a cruise with a land tour of Italy or neighboring regions. Many of the passengers were continuing onto another destination after disembarking. For more information, call 800-768-7232 or visit www.croisieuroperivercruises.com.